With summer getting more unbearable each year, scientists finally have come up with new clothing material that helps to keep the body cool naturally. Thus, reducing the need for air conditioners and saving considerable energy. 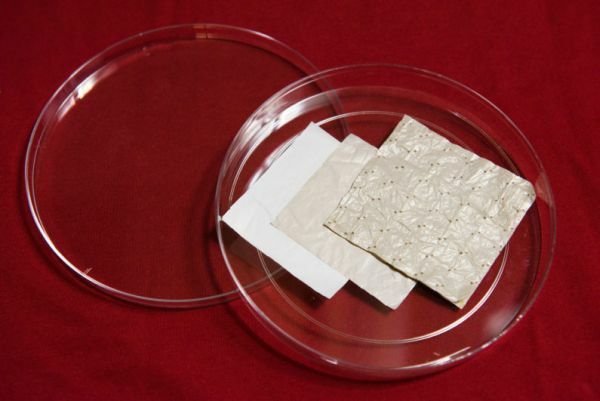 A team of engineers from Stanford University has designed a textile made up of plastic. The clothes woven out of this plant-based textile can keep the wearer’s body cooler more efficiently in comparison to present day natural or synthetic fabrics. The team combined nanotechnology, chemistry and photonics to create the textile that cools the wearer in two ways. Like conventional fabrics such as cotton, the textile lets sweat evaporates through the material, but additionally it also allows to ooze out heat that the human body releases in the form of infrared radiation. Every object, including humans emanate heat in the form of an invisible and benign wavelength of light known as infrared radiation. Blankets and other currently used clothing traps these invisible light wavelength close to the body, unlike the new plastic textile that let them escape too. The same heat emission makes objects or bodies visible even in complete darkness through night vision goggles. According to electric engineering professor and specialist in photonics, Shanhui Fan, while sitting human gives off 40 to 60 percent of body heat as infrared radiation. But so far there was a very little research done on designing the thermal radiation aspects of textiles. To develop the next textile the researchers used polyethylene – a clear plastic used in daily life such as kitchen wrap and experimented with it till they got the desired characteristics, like a textile that is opaque to light but allows air, water vapors and thermal radiation to pass through. General polyethylene allows thermal radiation to pass, but do not let water to transfuse. Moreover, they are seen through, making them not suitable for clothing. To achieve the required characteristics the researchers discovered a polyethylene variant that allows the infrared radiation to pass and opaque to visible light. This material was further treated with certain chemicals that facilitated the water vapors to sneak through nanopores in the plastic, enabling it to breath like a natural fiber. Making it further fiber-like, designers made a three-ply version that had one sheet of cotton mesh in between two layers of treated polyethylene to provide strength and thickness. To examine the cooling capabilities of the new textile, researchers compared temperature of the skin surface by placing swatches of the cotton fabric and plastic material on bare skin. They found that the cotton makes the skin 2 degree Celsius (3.6 degrees Fahrenheit) warmer than the new plastic material. This suggests that clothing made of new material might make individuals to use air conditioning less often. The team is engaged in adding more colors, textures and cloth like attributes to this new material. They are also trying to figure out ways to mass-produce the material in a cost effective way for making textile in the future. Apart from textiles, the research may open up new approaches of inquiry into passive heating or cooling things by altering the material to trap or release infrared radiation without any external use of energy. Visit TechieTonics's profile on Pinterest.